How To Find If Your Laptop Is Overheating? What Makes Your Laptop Overheat? Is your laptop overheating? Want to know how to address the issue of an overheating laptop? Well, the laptops these days have become compact, yet more powerful. The powerful chips nowadays provide an excellent performance. The laptops come with densely populated transistors and other components. 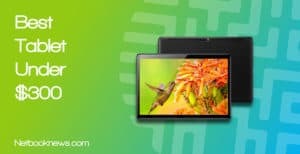 Factors like a slimmer form factor with larger screens with high resolutions have been one of the major reasons for the excess heat generated. 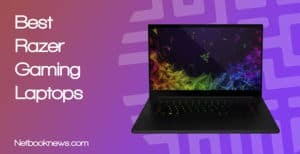 From that perspective, we will check out the fixes that you can use for addressing the overheating of a laptop so that you will get rid of the issue and work in a safer and comfortable environment. 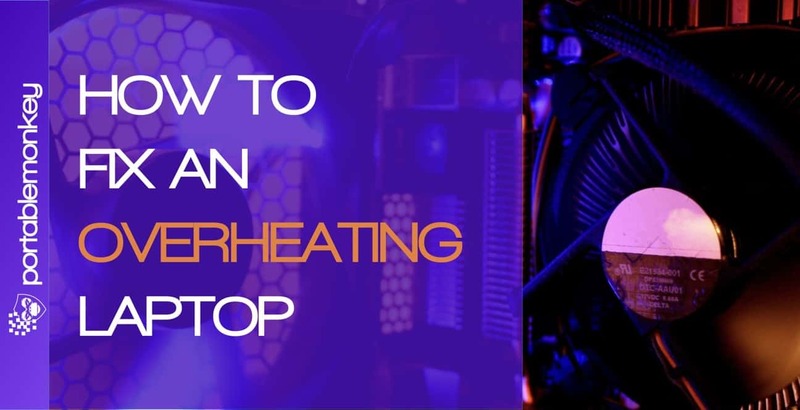 Before you can actually address the issue of overheating, you would need to check if your laptop is really overheating. How would you find it out? There are a few signs that indicate that your laptop is overheating. Is your fan running at all times at a maximum speed? That can be a clear sign to prove your laptop is overheating. The laptop may also experience a decrease in its performance. This is because the laptop will reduce the clock speed to compensate for the heat. There are instances where your laptop may shut down to prevent the damage to hardware due to higher temperature. 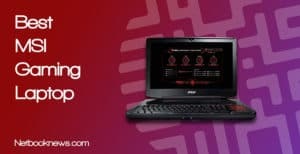 Though there is no app to control heating in a laptop, you can also use a few applications that will be helpful in maintaining and checking out the temperature prevalent inside your laptop. These applications may also help you understand the details of individual components in terms of temperature as well. Well, there is a simple reason that makes your laptop overheat – insufficient cooling. In sharp contrast to the desktop computers, laptops do not have a cooling system as efficient. This has more to do with the size of the laptops that prevents providing equivalent cooling systems. Apart from that, an inefficient maintenance can also be a reason for the overheating issue on a laptop. There may be dust that blocks the vents or a blocked fan may also be one of the reasons that would force your laptop face issues. The thermal grease between the heat sink and the CPU may also have degenerated in many cases. Most of the fixes may involve opening the laptop and performing a few corrective actions. We would advise you to proceed only if you have requisite skills or the tools to perform these repairs yourself. Otherwise, it may be a good idea to opt for a qualified service professional. Most of the laptops have their vents at the bottom. Keeping your laptop on a soft surface like blankets or your lap can block the proper flow of air inside. This can further increase the temperature of the cooling air inside, impair the cooling system and eventually cause the laptop to overheat. Make sure you place the laptop on a hard and flat surface than keeping it on uneven surfaces. You can even consider opting for a laptop stand or laptop holder. These stands and holders are available for prices under $ 50 for most of the practical purposes. If you are creative enough, you can also fabricate one yourself. The batteries on your laptop come in different types and capacities. There are several theories that suggest a proper maintenance for your battery, but one thing is certain. You should not keep your battery at 100 percent or 0 percent for prolonged periods. Batteries are meant to be used, yes, we mean it USE IT. If you have the habit of keeping the charger plugged in all the time, it can be an indication to prove that the battery is not at all being used, but being stored at 100 percent. This can cause the battery too give away and finally die. When your batteries are not working at their optimum capacity, they generate a lot of heat. Like we stated before, vents are generally placed at the bottom on your laptop. One of the reasons for an overheating laptop can be the blocked vents on your laptop. If the vents are blocked, there would be no proper heat transfer. Run an app that is really much resource hungry and check the vents on your laptop. There may be several vents. While a few of them may be for sucking in the cool air, while a few are used for expelling the hot air. While the laptop is running at its full capacity, check the vents to find if they are providing proper heat transfer functionality. If you find issues with the heat transfer, it would be advisable to clean the vents. You can use compressed air for the purpose. If it is possible to unscrew the back panel for the individual elements, check if you can remove the panel and remove the dust. However, please ensure that you have the sufficient technical skills for the purpose. Laptop coolers are designed for offering extra cooling. However, make sure that the cooler you opt for has the right configuration specifically meant for your laptop. You need to study the functionality of your laptop for the purpose. If your laptop has the vents at the bottom, it would be practical to go with the laptop coolers that blow the cool air in an upward direction. There are also the coolers that just absorb heat and do not tax you with any power requirement. Apart from the tips and fixes outline above, you can make use of a few other fixes. These involve the software fixes and involve limiting your software usage. Fire up Task Manager and check the apps that are using CPU unnecessarily. 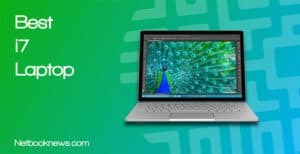 You can end those tasks so that you can save on the unneeded on your CPU and thereby control the overheating of your laptop. You may also uninstall the software applications you may not be interested in. However, please note that you are making an attempt to degrade the performance of your laptop and sacrificing the software capabilities of your laptop in lieu of the hardware improvement. Other software fixes can also include reducing the brightness of your laptop screen or underclocking the GPU. Of course, you have access to the underclocking and overclocking functionalities generally through the BIOS settings on your laptop. However, there are several software options that would be helpful in addressing the concern. Another good option is to turn off your laptop every night. Well, we assume most of us do it, but still, a few of us just put the laptop on hibernation and go to sleep. When the laptop is on and working with the background apps, it increases the chances of accumulating dust. Also, avoid using or placing the laptop at a place where you make your pets sleep. The pets hair can be one of the issues for the laptop vents getting blocked. The thermal seal or grease between the heat sink and the processor may have issues as it can get degenerated over a period of time. If you have the technical expertise to address the issue and apply a fresh layer of thermal sealing, you can ensure that you can attempt to do it yourself. If you do not have the expertise or the requisite tools, get it done at a nearby professional service center. Those were a few common fixes you can apply to your laptop if you are facing the overheating issues on your device. Overheating, in most scenarios, is the case with cleaning issues with your laptop. We would consider a thorough cleaning of your laptop should help you understand the concern of an overheating laptop. 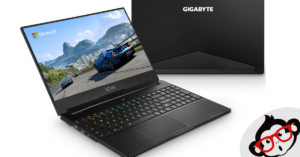 If you find all these issues do not solve the issues on your laptop, the major issue would be the battery or other similar hardware issues may be a culprit. Check out the battery and replace it with a genuine one, or address other hardware issues that may be causing the overheating issue on your laptop. Are you aware of any other fixes to address the overheating issues on your laptop? Share your thoughts, experiences, and opinions with us so that your wisdom would help our readers to find a few more fixes for the issue.